Digging a foundation, planting a tree and building a fence have at least one thing in common — all should be done only after contacting Arkansas One-Call so nearby underground utilities may be marked. 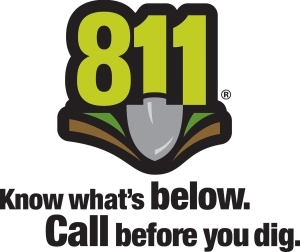 The free call-before-you-dig service may be reached by dialing 811 or 800-482-8998. Unless it’s an emergency, you should call 811 at least two business days before you want to excavate and mark the area with white paint or flags. Participating in Arkansas One-Call keeps members of the public safe and minimizes the risk of someone digging into our facilities and causing an outage. Most of our power lines should be buried at least 24 inches underground, but that can vary. Regardless, if you’re digging near an underground cable, you could be electrocuted. First Electric and other utilities help fund Arkansas One-Call. Once Arkansas One-Call confirms the location of the excavation area, it passes that information to Arkansas Utility Protection Services, or ARKUPS. Personnel of the not-for-profit subsidiary of Arkansas One-Call handle the marking of the underground utilities.